This week we accomplished an activity in the Villa Palmeras community, Our Lady of Lourdes Parish, where we educated on the importance of Reading, with the participation of the World of Toys and their puppet show. 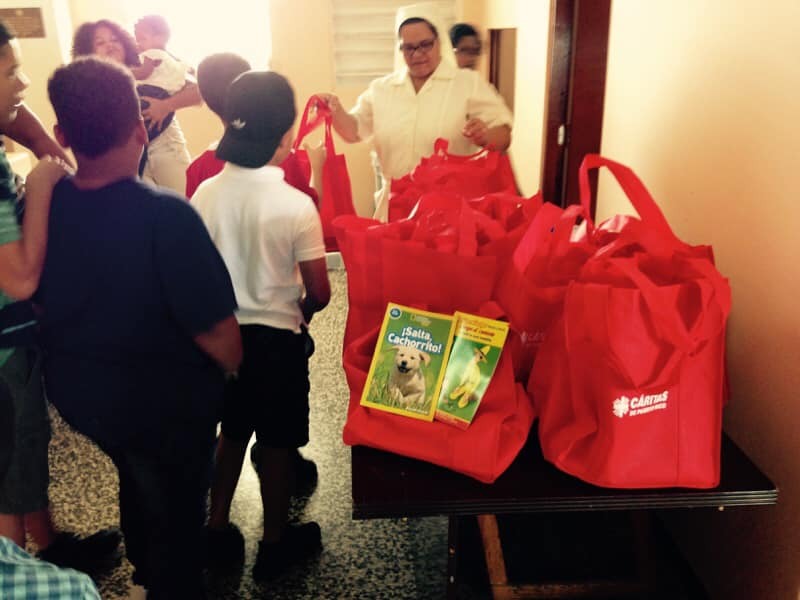 We gave books, which were donated by First Book and Catholic Charities Organizations, to all the children and at the end of the activity lunch was provided for the children and their families. We continue to serve and educate our communities for the Glory of The Lord.